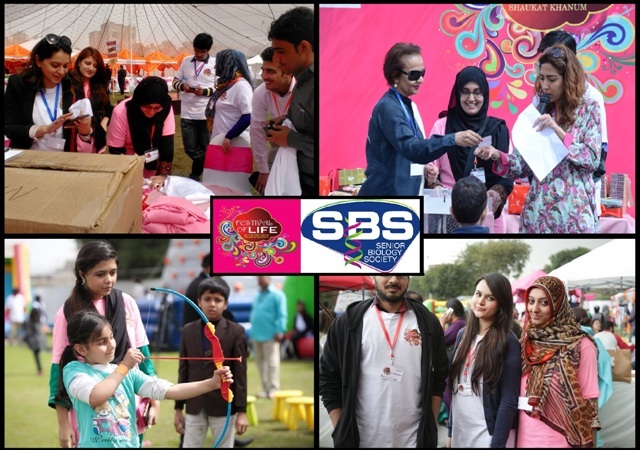 On 8 March 2015, Team Senior Biology Society (SBS) volunteered at the Festival of Life held at Shaukat Khanum Memorial Cancer Hospital and Research Centre (SKMCH&RC), Lahore. The carnival, organized by Friends of Shaukat Khanum in collaboration with Pakistan’s leading entertainment and fashion fraternity every year, raised funds for the construction of the second SKMCH&RC in Peshawer. Team SBS was in-charge of security, stage, play area and the fashion lounge. Despite an unexpected hailstorm disrupting the event halfway, the festival still managed to raise a whooping Rs 6.1 million for the construction of SKMCH&RC. Team SBS would like to thank Dr Natasha Anwar for providing the opportunity to be a part of this great cause.